The governments of Viet Nam and Netherlands needed to continue removing barriers to help businesses boost trade co-operation, said Prime Minister of the Netherlands Mark Rutte at a meeting with Deputy Prime Minister Vuong đinh Hue in Ha Noi on Tuesday. The meeting was part of Prime Minister Rutte`s working visit to Viet Nam, with the participation of CEOs from 70 leading enterprises from the Netherlands and Viet Nam. Rutte said his country admired the country`s rapid growth. He appreciated the efforts of the Vietnamese Government in enhancing the business environment, national competitiveness and innovation indicators. He believed economic co-operation, trade and investment between the two countries would grow. The PM also said the two sides had many similarities, due to their proximity to the sea. Dutch enterprises had advantages in agriculture, water and wind power, and were willing to partner with Vietnamese enterprises, he said. The Netherlands is currently the largest European investor in Viet Nam with total registered capital of more than US$9.5 billion, with well-known corporations such as Heineken, Unilever and Shell. 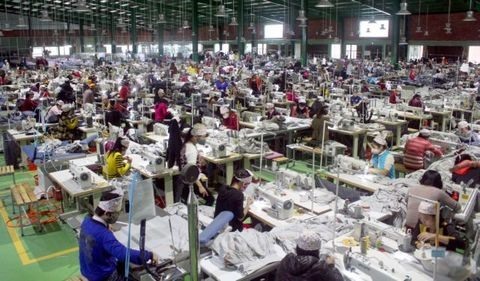 Last year, bilateral turnover reached over $7.84 billion, accounting for 1.6 per cent of Viet Nam`s total import-export turnover and nearly 14.6 per cent of the total import-export turnover of Viet Nam with EU countries. Speaking at the meeting, Deputy Prime Minister Hue said Viet Nam had set a rapid and sustainable growth target for the next five years. Hue said Viet Nam would boost economic restructuring, while improving productivity and quality of economic growth, and scientific and technological development and innovation. "We will continue to promote the effectiveness of international integration, and push infrastructure development as well as improving the quality of human resources," Hue said. Hue said that when the EU-Vietnam Free Trade Agreement (EVFTA) was signed and took effect, it would create new opportunities for Dutch businesses to invest in the country. He expected the Dutch government to support the signing of this important agreement. Hue said Viet Nam was willing to create favourable conditions for Netherlands businesses to invest in areas such as electronics, information technology, high technology, sustainable agriculture, irrigation and environmentally-friendly industry, renewable energy, wind power, seaports, shipbuilding, infrastructure development, healthcare, education and green growth. "Your success is also our success," Hue said.